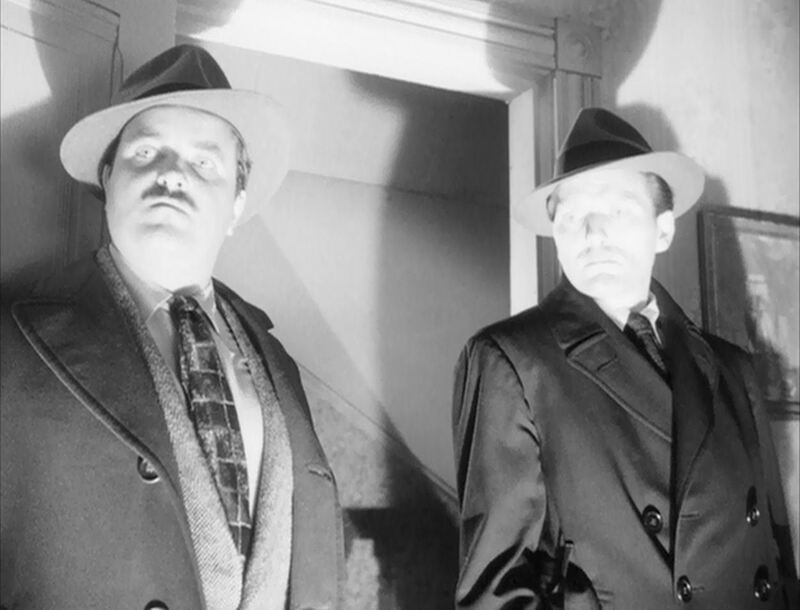 Here comes trouble: William Conrad through one door, Charles McGraw through the other. The Icemen Come: McGraw and Conrad. Hired guns McGraw and Conrad menace counterman Harry Hayden. Conrad and McGraw finish their business. Mark Hellinger, who produced the picture, fancied himself Hemingway’s great pal. Pal or not, Hemingway demanded fifty thousand smackers for his twelve-page story and got thirty-eight, making it the highest price ever paid for movie rights to a short story. Hellinger promised Hemingway he’d tell the press he paid the original asking price. In the end, he advertised that he paid seventy-five Gs for the story. To write the screenplay, Hellinger first approached John Huston, but since Huston was still in uniform and had outstanding contractual commitments to Jack Warner, he recommended his writing partner, Anthony Veiller (son of Margaret Wycherley — who later played Cagney’s cagey old mother in “White Heat”). Veiller agreed and got full credit, but he split the pay fifty-fifty with Huston, who was heavily involved in the writing, which took two months. Most of it was written at Huston’s rooms at the Weylin Hotel on 54th and Madison and at Wycherley’s flat at 10 Perry Street in the West Village — and, since Huston was involved, at many saloons in between. Their approach centered on a single question: “What could bring a man so low that he would surrender himself to violent death?” What they ended up with is a lot of fun, but I think it’s going much too far to say that it’s a great script. Frankly, I don’t think their script does a great job of answering their own question. 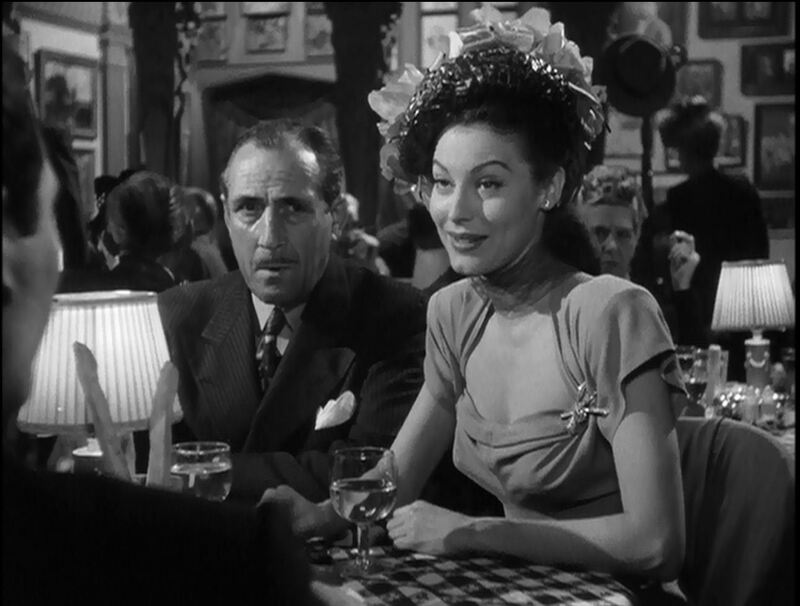 John Miljan as Jake the Rake; Ava Gardner as bad, dangerous Kitty Collins. 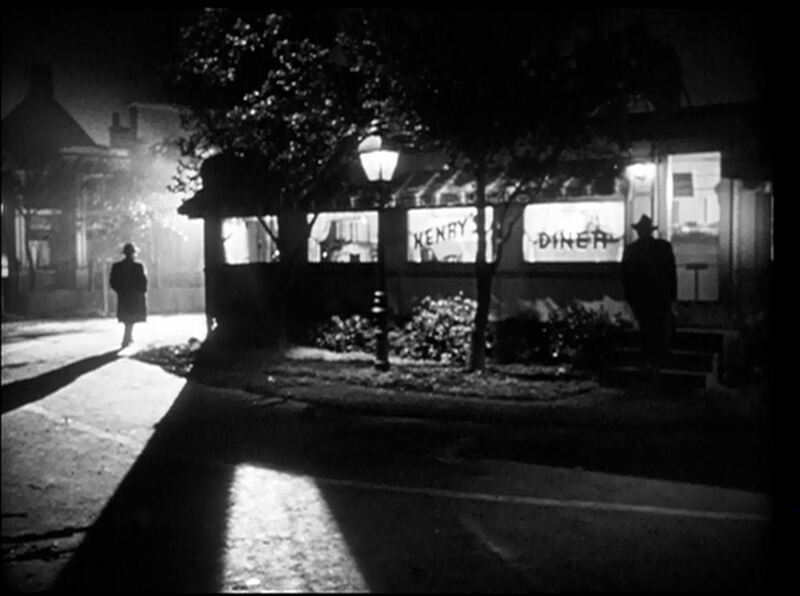 The structure of “The Killers” mimics the multiple narrator idea that Herman Mankiewicz used so effectively in “Citizen Kane,” but it’s not as cleverly constructed. 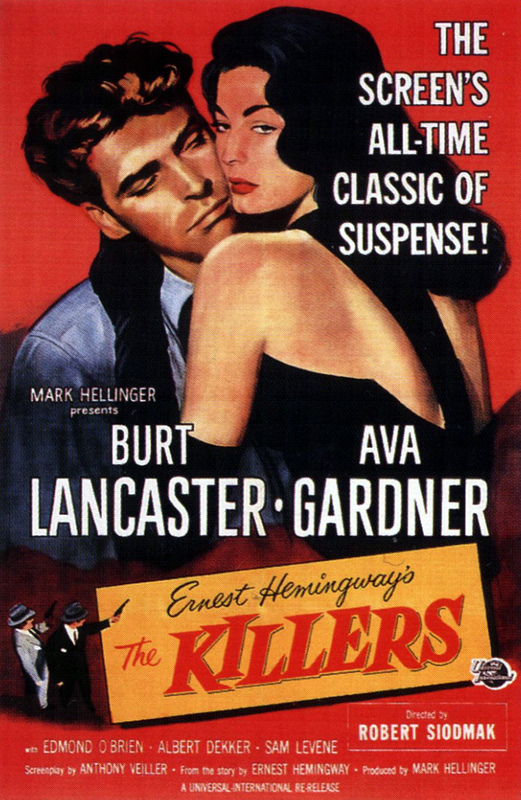 In “The Killers,” the mystery to be solved is why anyone would want to kill the Swede (Burt Lancaster); we find out through a series of dovetailing flashbacks. 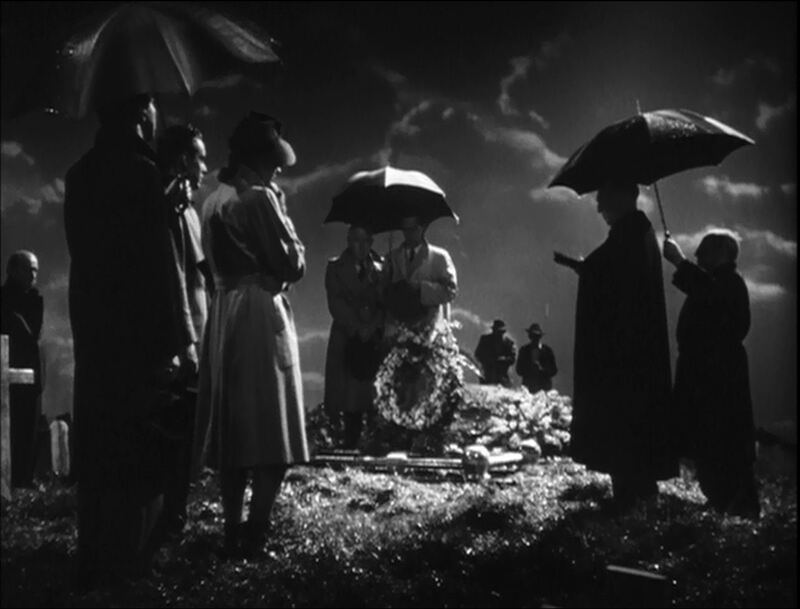 The Swede’s funeral. I have a weakness for indoor rain scenes. 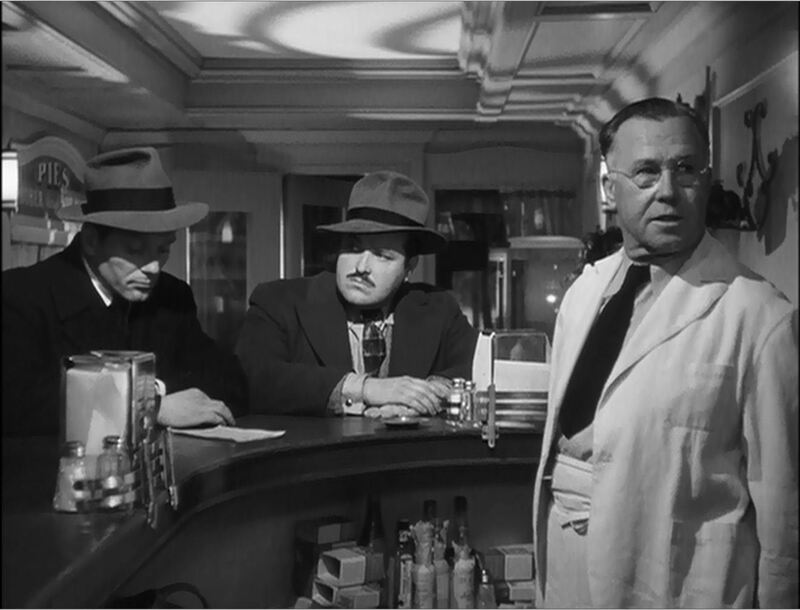 Sam Levene, Edmond O’Brien and Virginia Christine are in the left foreground. Individually, each scene works well enough and there’s plenty of snappy patter; taken as a whole, however, the story feels attenuated, even somewhat preposterous. 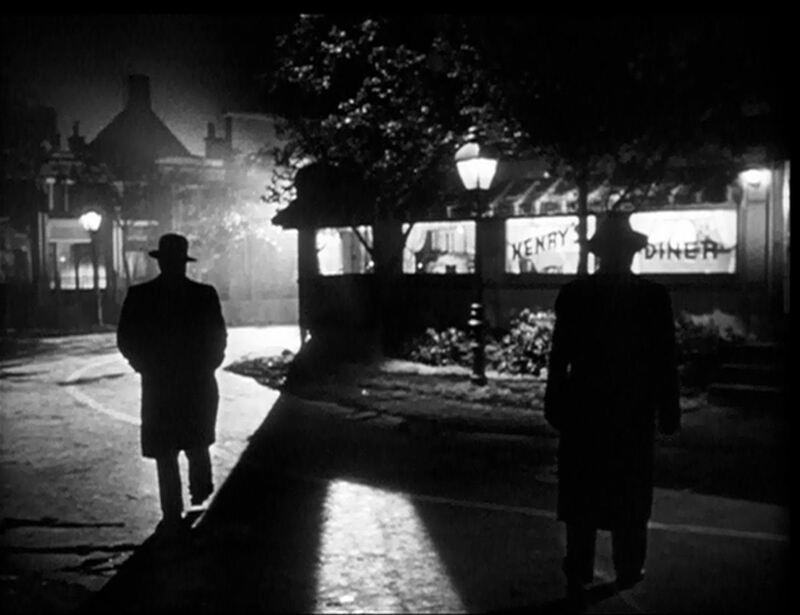 Moreover, unlike “Citizen Kane,” all of the various narrations are in complete agreement with the others. Everyone in the picture — the dim-witted chambermaid, the jilted girlfriend, the cop, the small-time crook, the gunsel, even the hophead on his deathbed — has a perfect recollection of events that took place six years earlier, before World War II interrupted their lives. They all remember accurately, and they all tell the truth. This is quite a problem in a picture that’s supposed to be about moral ambiguity. That’s why I think the best idea is to accept the picture as flashy, trashy entertainment and not as anything so earnest as social criticism. There’s plenty to like without taking it seriously. 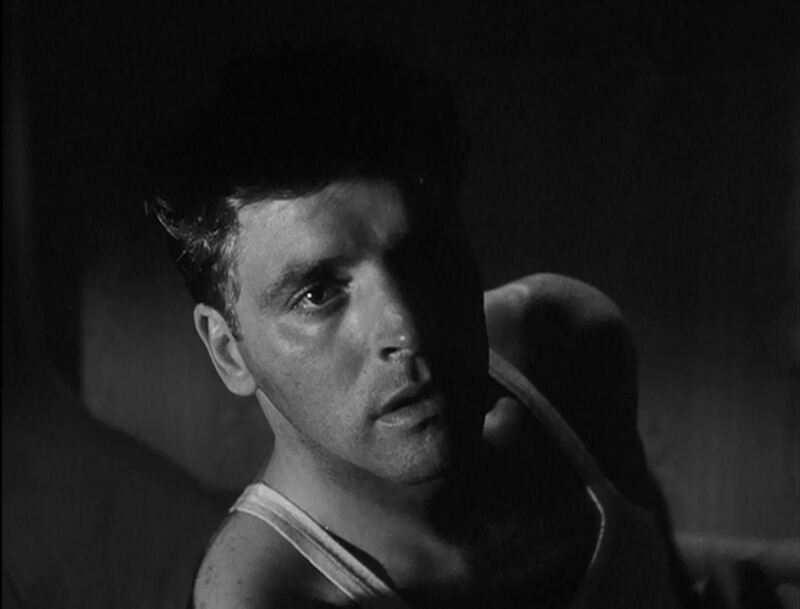 The Swede, moments before his murder: Burt Lancaster in his debut role. This is our first good look at him. Is it any wonder he became a star? This is the picture that introduced Burt Lancaster to movie audiences and finally gave Ava Gardner something to do with herself. That’s enough for me. The two stars got along well together. Ava genuinely liked him; years later, a French interviewer asked Lancaster how it felt to kiss Ava Gardner for the first time. Lancaster replied, “I got an erection!” His bulge was so noticeable, in fact, that the entire crew, including Ava, cracked up at the sight of it. A few words about the music. It’s one of Miklós Rózsa better efforts. I can almost always identify a score by Rózsa: it’s the one that sounds like a bummer — especially the stuff he wrote for biblical epics. This one’s certainly not breezy, but for once it’s more dramatic than it is sullen. It also features a very famous musical phrase that Walter Schumann used for “Dragnet”: DUM duh-dum DUM! When that theme became a hit on the pop charts, Rózsa’s music publishers filed suit, claiming that Schumann had been at the session the day Rózsa recorded the theme. The case was settled out of court: both composers and their publishers shared the music royalties every time “Dragnet” aired. This entry was posted in Main and tagged Anthony Veiller, Ava Gardner, Burt Lancaster, Charles McGraw, Edmond O'Brien, Ernest Hemingway, Harry Hayden, John Huston, Margaret Wycherly, Mark Hellinger, Miklos Rozsa, Robert Siodmak, Sam Levene, The Killers, Virginia Christine, William Conrad on June 19, 2013 by TR.